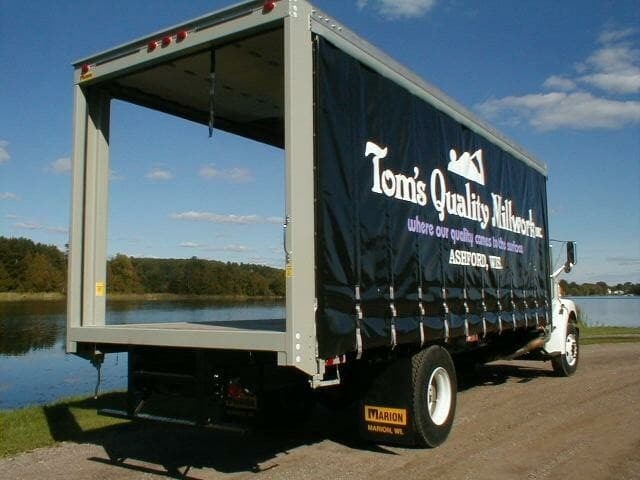 Designed for easy loading and unloading. 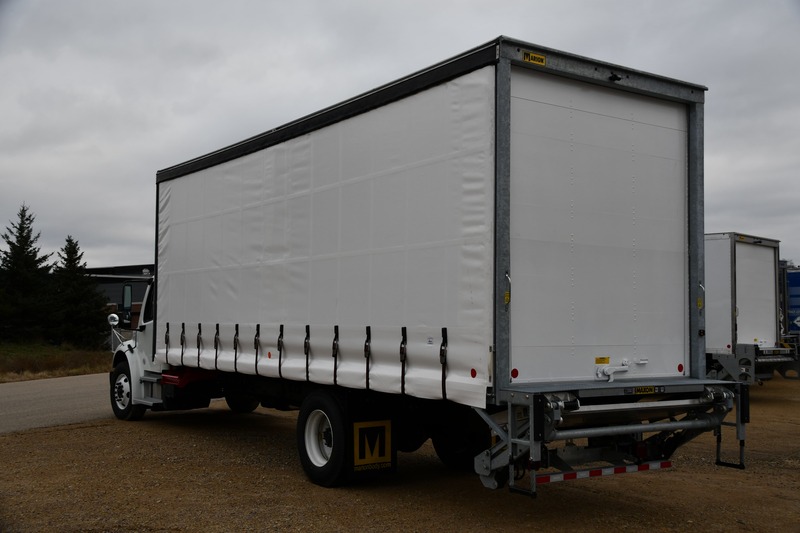 Our curtain side quality depends on attention to every detail: yellow chromated roller end hinges, precision rollers, aluminum cable drums, stainless rivets and bolts, heavy-duty bottom fixtures and more. We know the smallest details mean a lot. Ultra-strong curtains—Material is PVC-coated polyester. Vertical and horizontal nylon reinforcement webbing adds strength and serves as a rip stop for security. Reduced flutter—Front corner ratchet tensioners also provide tension horizontally to reduce curtain flutter. A quick release is at the rear on each side of the van. Solid flooring—Laminated hardwood flooring throughout the full van length is supported at the front by a rugged formed crossmember. Easy access—Wide rear door opening provides easier loading/unloading. Level entry threshold means smooth and safe forklift loading. Versatility—Removable support poles on each side of the body give full and easy forklift access with no loss of integrity. 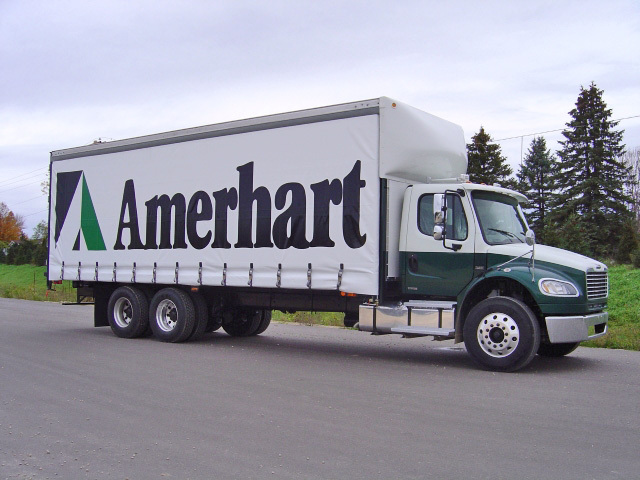 Weather protection—A full-width eavestrough above the rear door is a protective watershed and provides recessed protection for the rear marker lights. 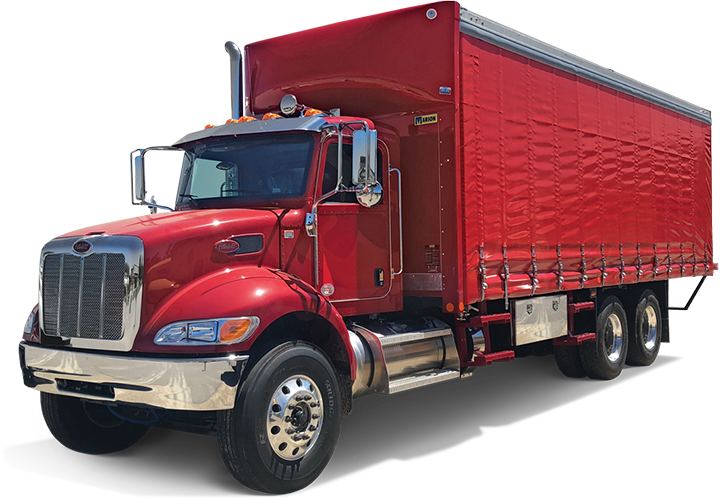 Rugged construction—7-gage steel forms lower side rails, rear frame, outer posts, inner reinforcements and a 7-gage smooth steel rear threshold. Curtain side options—Choose from a variety of colors, customize your size, create custom graphics and have curtains on both sides or just one. Available lengths: 10' to 30'; heights: 79-1/8" to 109-1/8". Multiple doors options include 4-panel full-opening, 2-panel full-opening, 2-panel harrow-opening and single-panel narrow-opening. Work safer and within bright light with high-quality dome lighting. Save maintenance and time with walk ramps, liftgates and a logistic track for easy loading and unloading. Maximize structural strength with additional rear crossmembers. Glass Haulers—Our glass haulers handle the weight of this heavy responsibility. 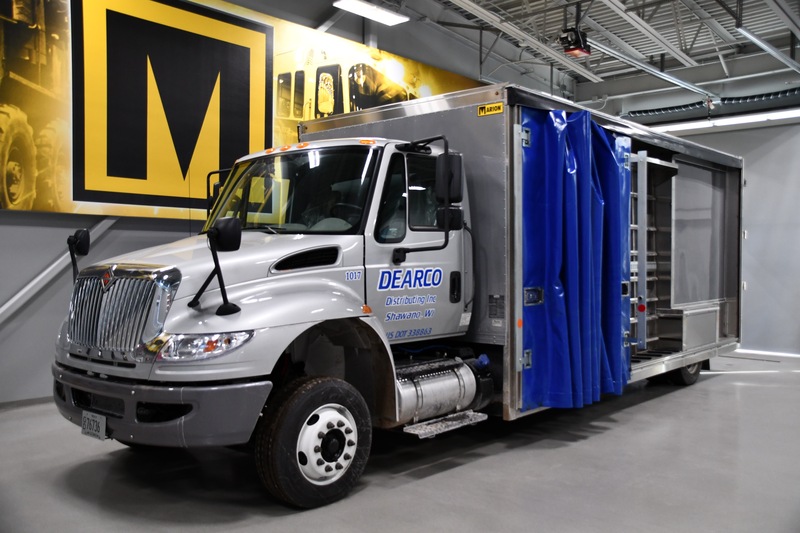 When you have a customized truck to transport your glass the way that’s best for you, you can load, secure and transport glass safer and more efficiently.